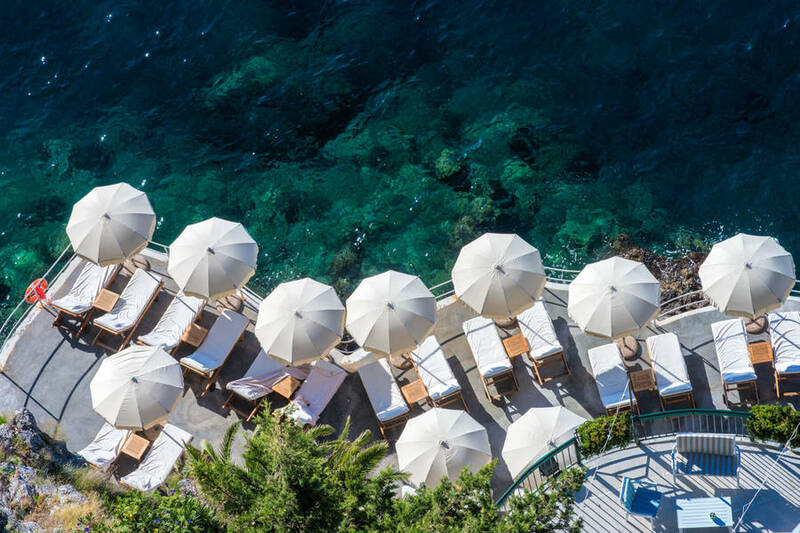 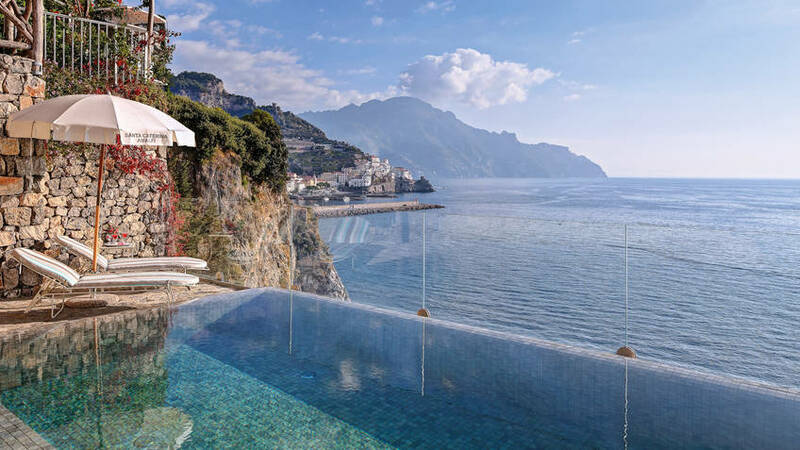 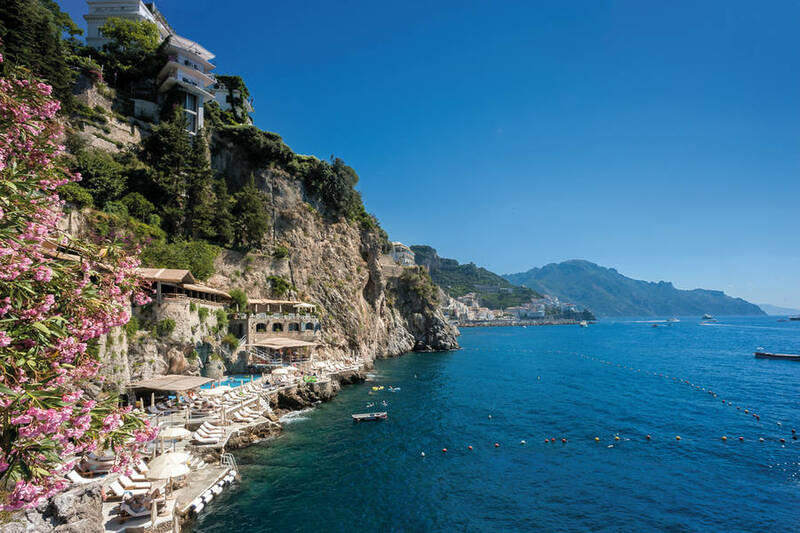 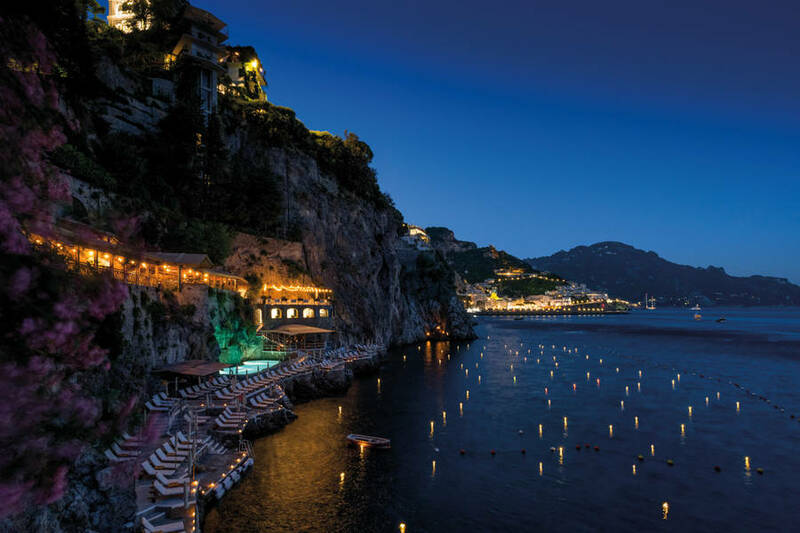 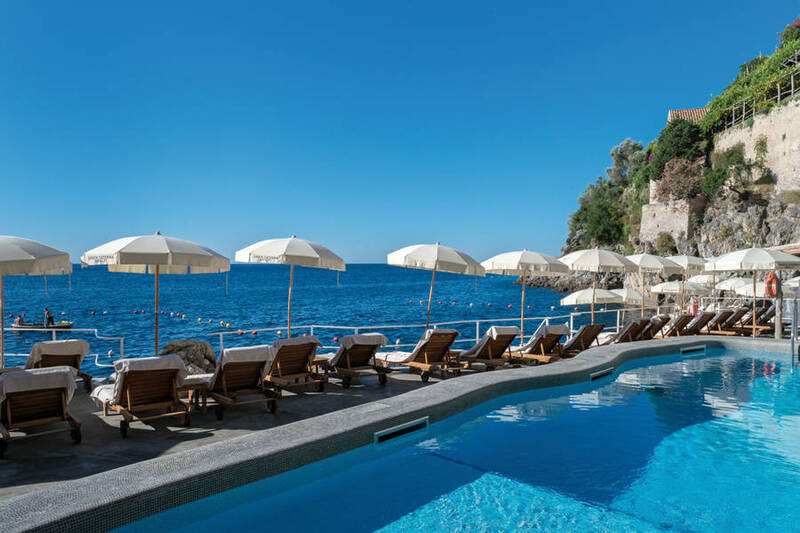 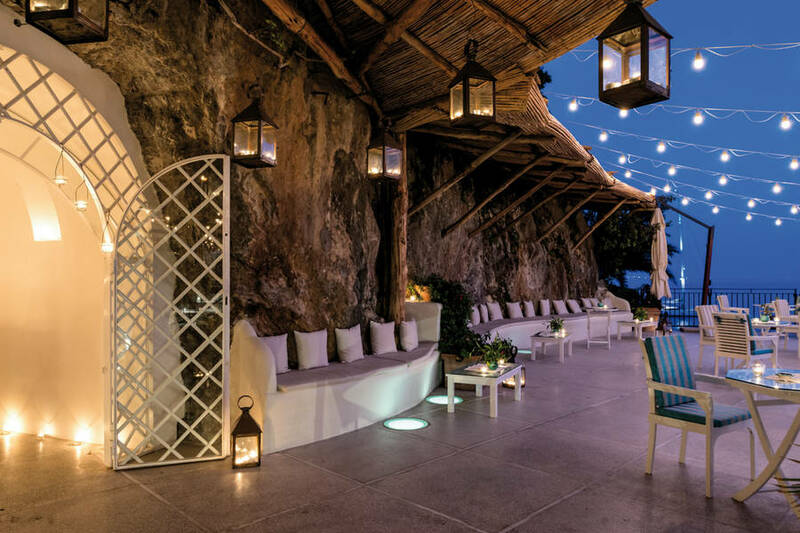 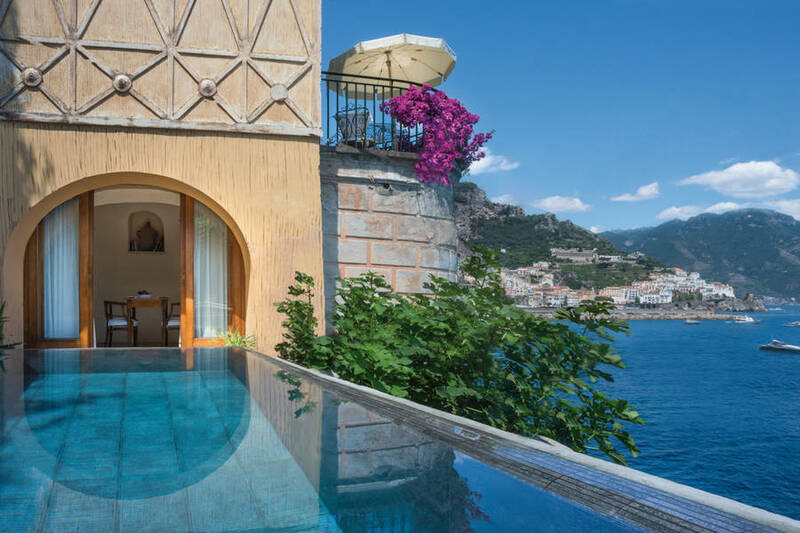 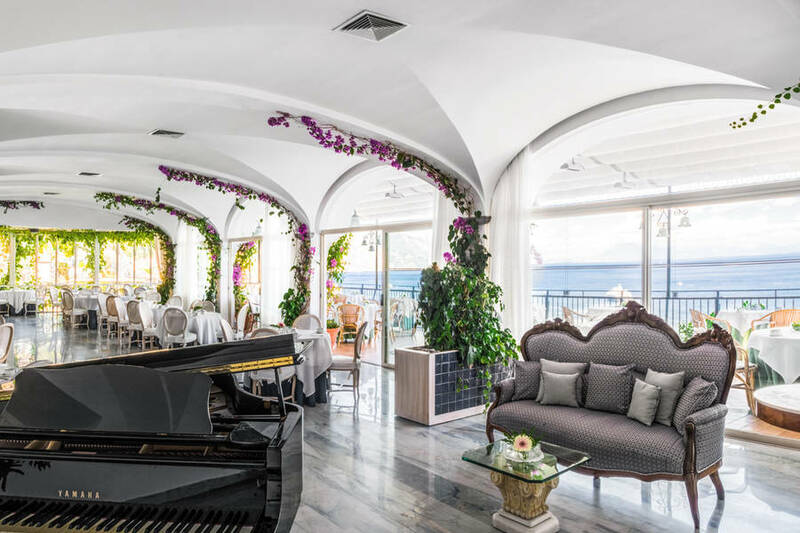 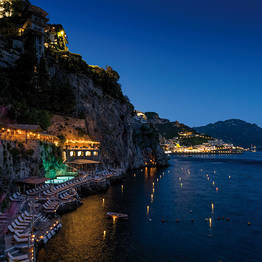 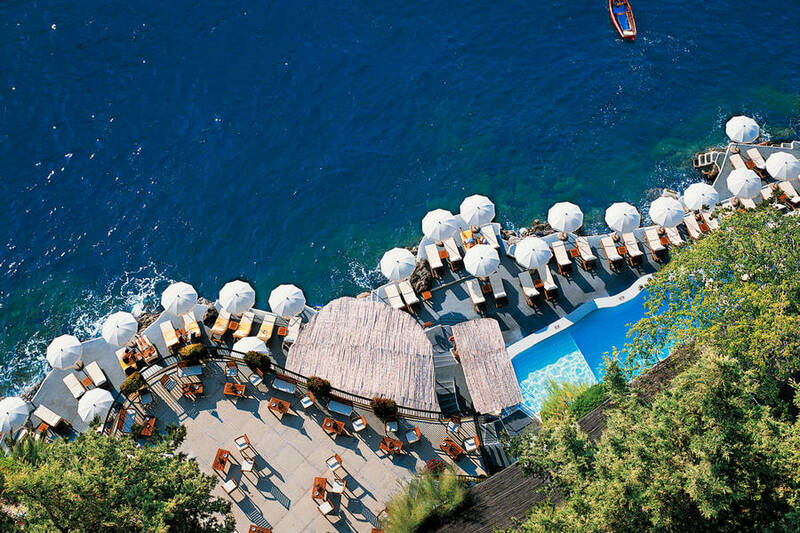 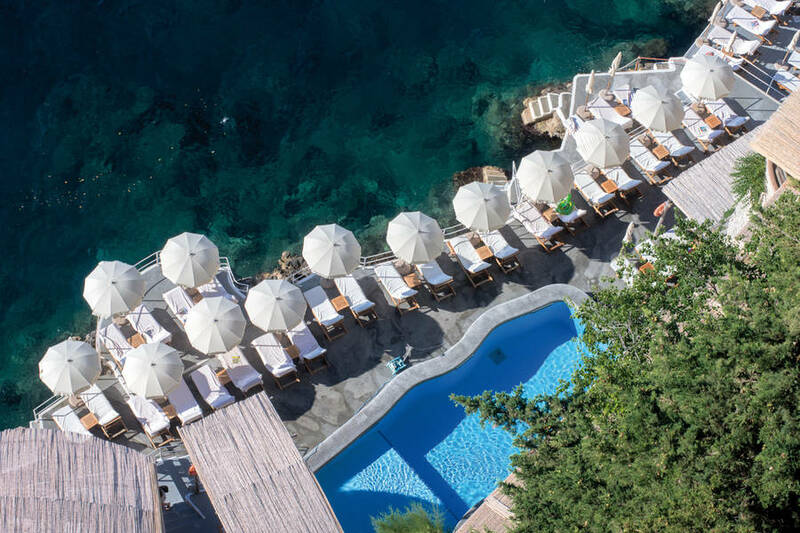 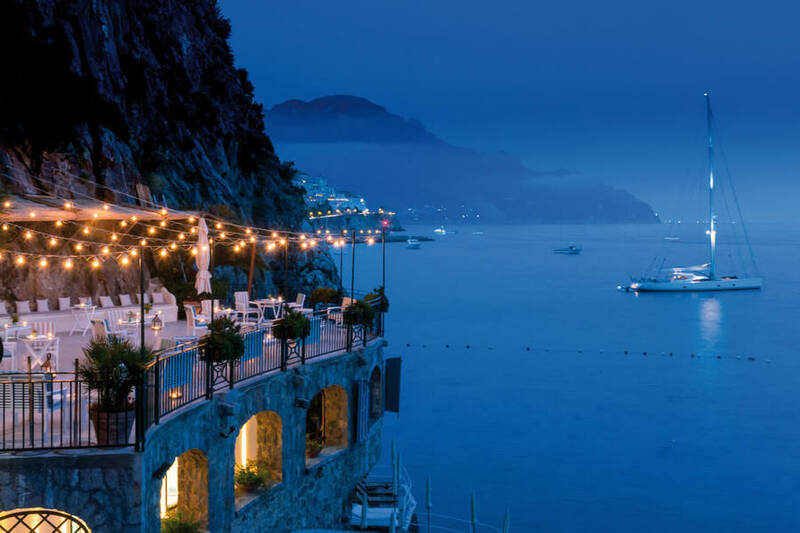 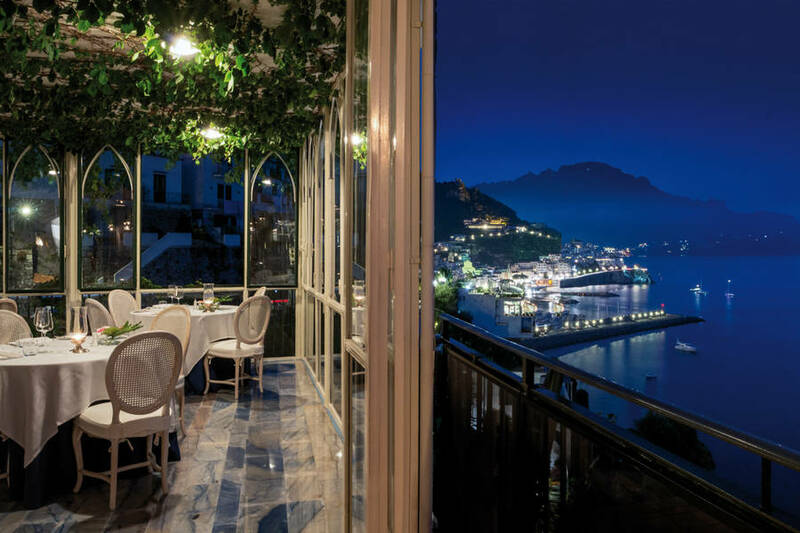 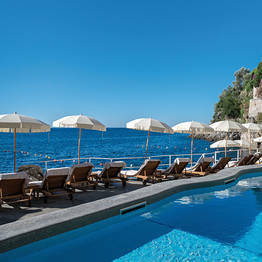 Combining Mediterranean elegance and contemporary luxury to perfection, Amalfi's Hotel Santa Caterina is one of the most beautiful 5 star properties on the whole of the Amalfi Coast. 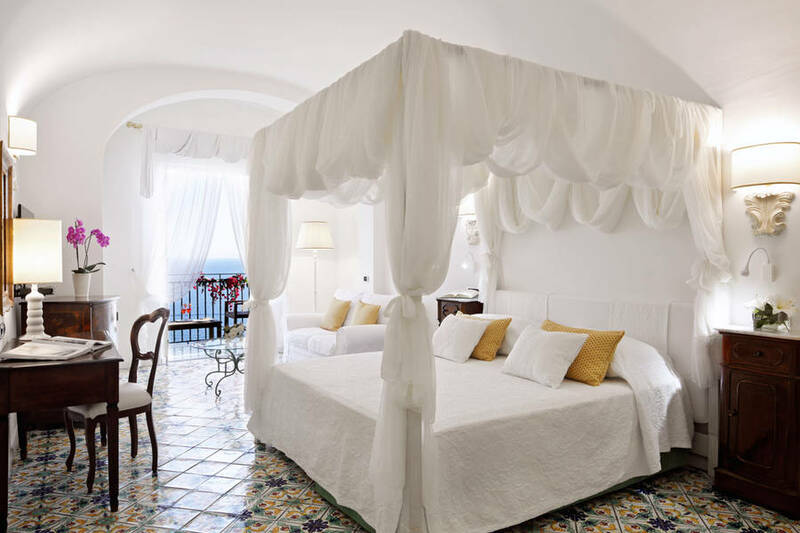 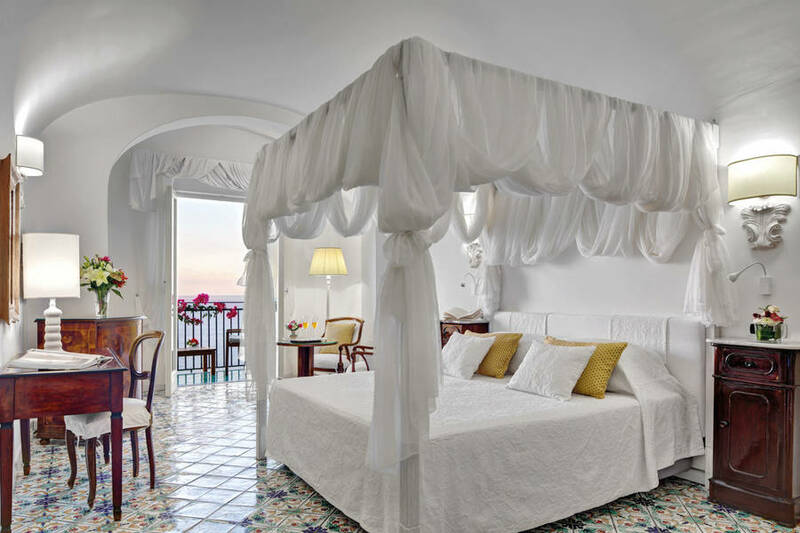 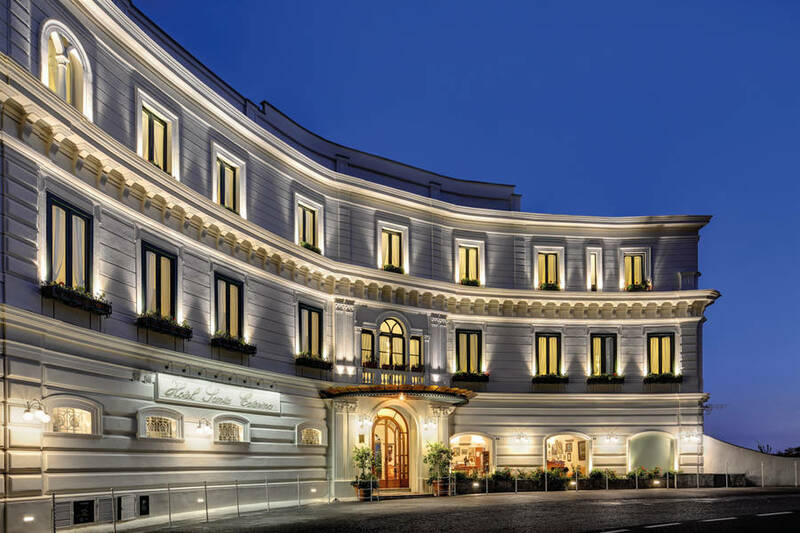 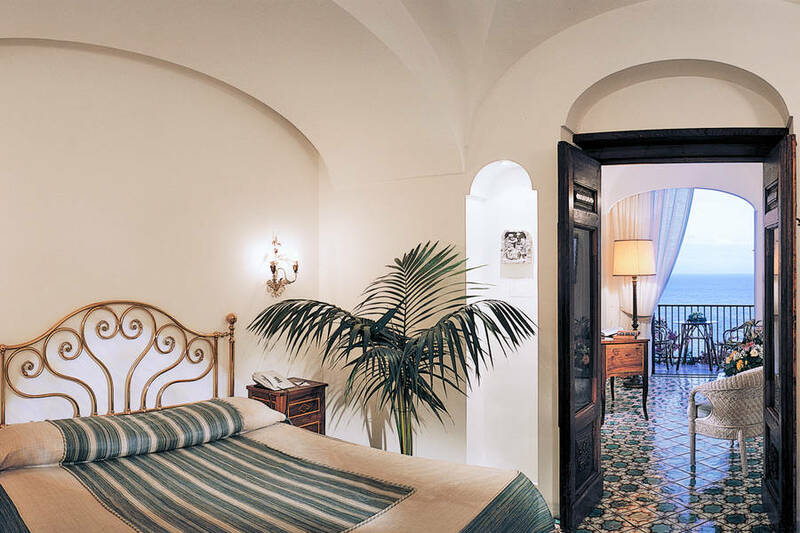 Sweeping arches, ornate majolica floor tiles and immense windows are recurrent features in each and every one of Hotel Santa Caterina's elegant, light-filled bedrooms. 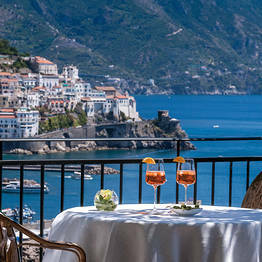 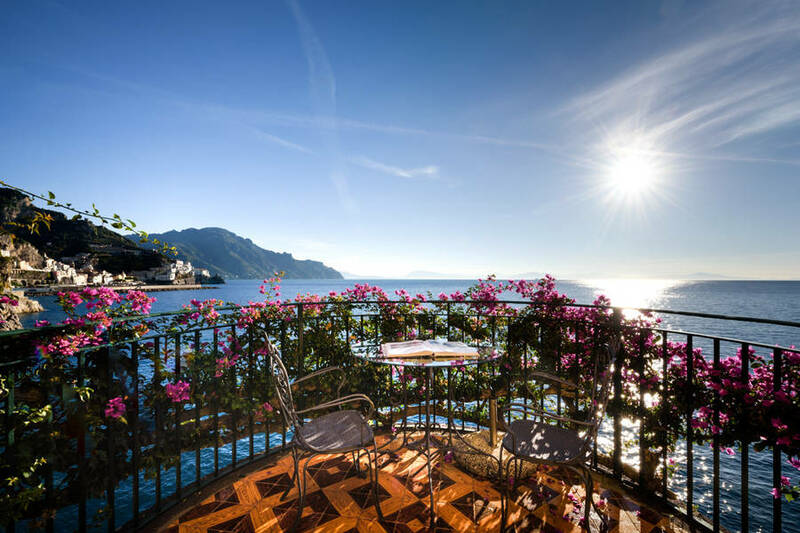 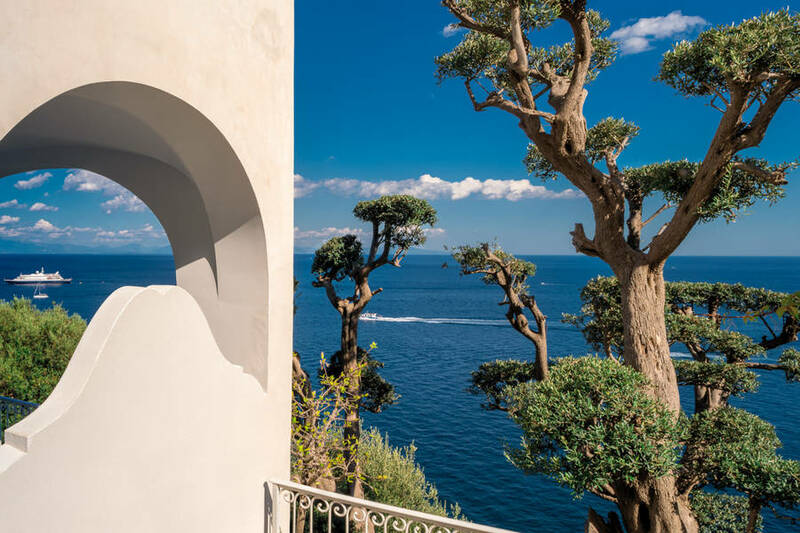 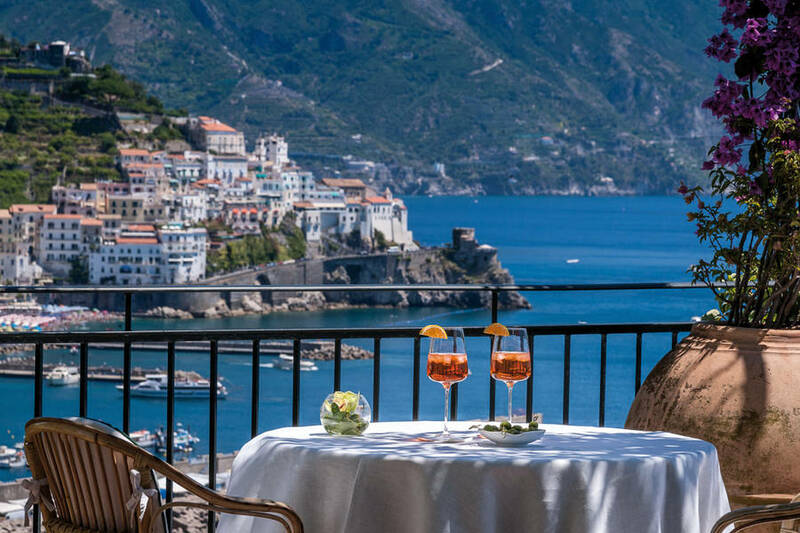 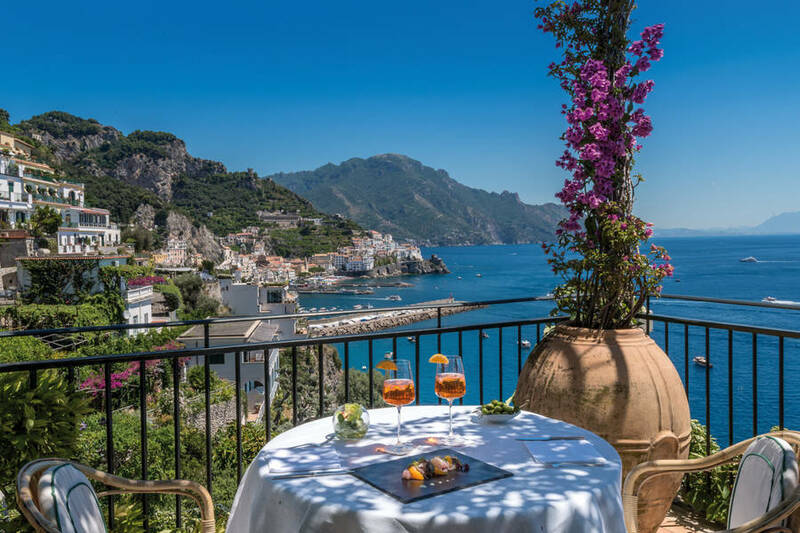 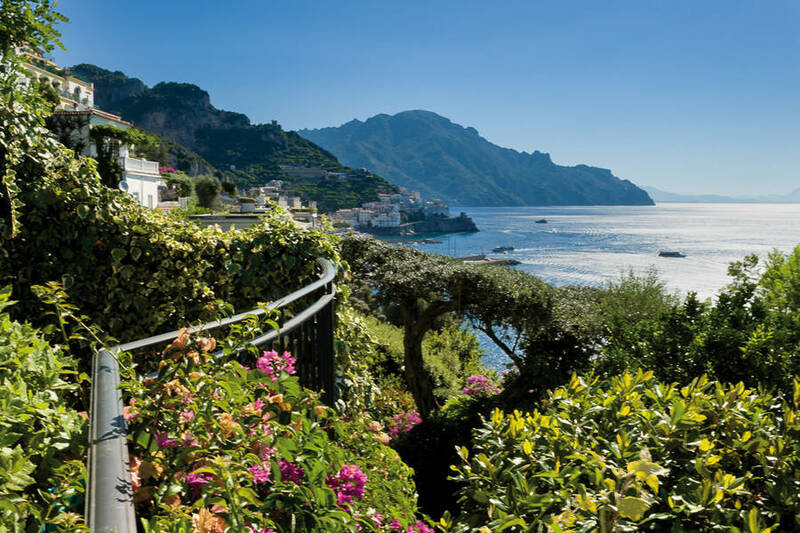 A much sought-after honeymoon destination, the hotel has a number of gorgeous suites, complete with sunken Jacuzzi baths, private gardens and, of course, magnificent views of the sea and the Amalfi Coast. 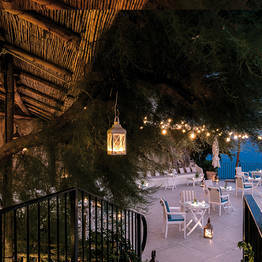 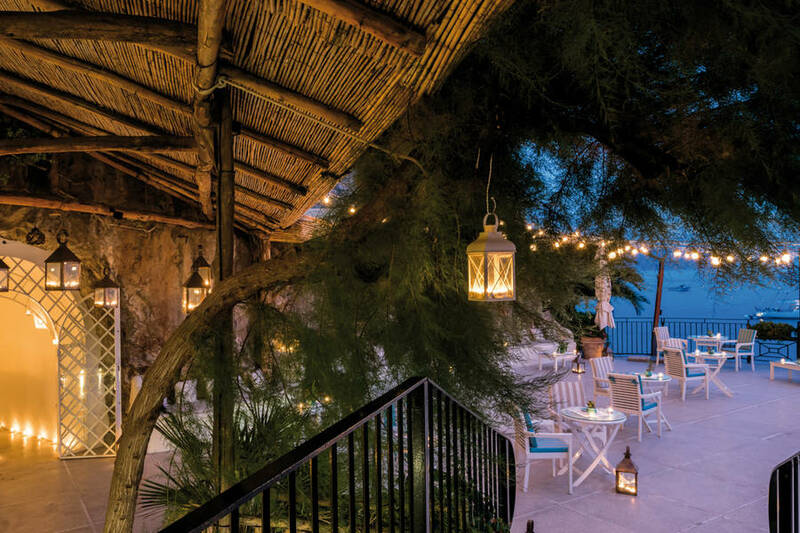 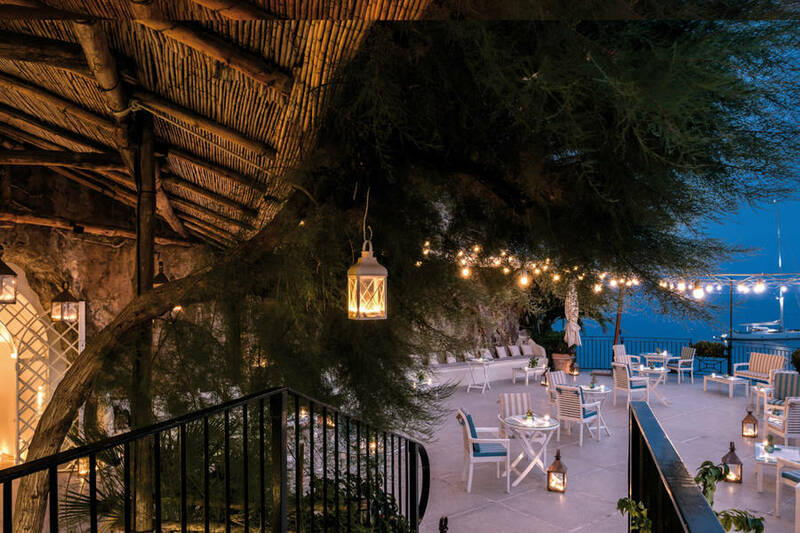 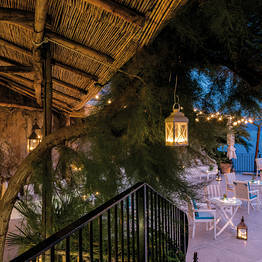 Choose betweenthe Romeo e Giulietta, a private chalet on the cliff's edge with an intimate garden and infinity pool, or the Follia amalfitana, surrounded by the lemon grove, with a king size shell-shaped bed and a round hot tub. 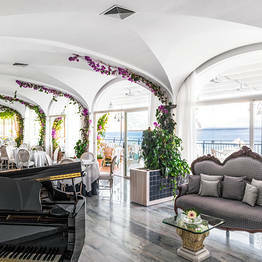 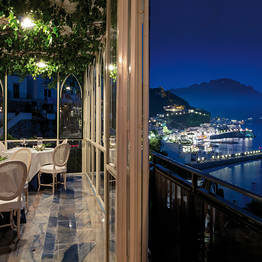 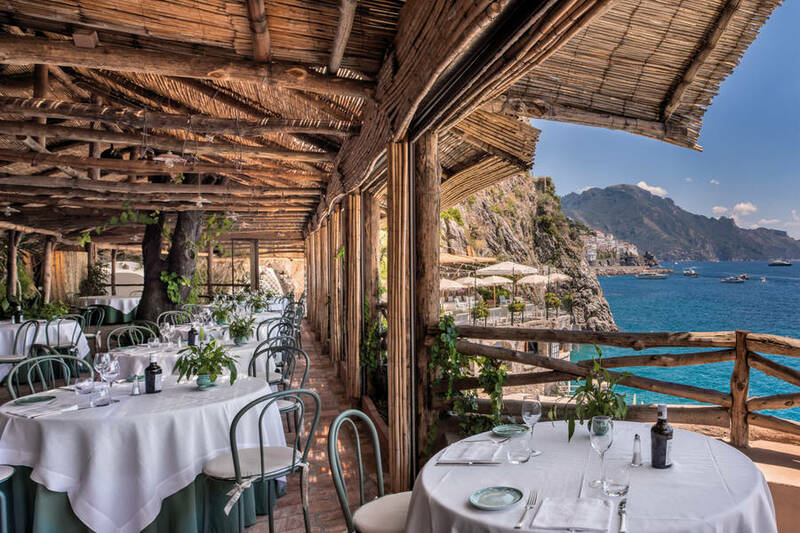 An absolute must for connoisseurs of gourmet Mediterranean cuisine, "Ristorante Santa Caterina" serves exquisite dishes prepared with the Amalfi Coast's excellent fish and the wonderfully sweet, sun-ripened fruit and vegetables grown on the precipitous terraces in the immediate vicinity of the hotel. 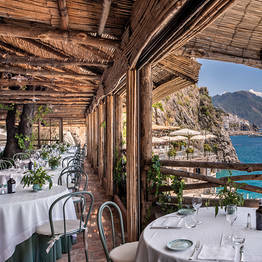 In the summer months, tasty fish grills and fragrant pizzas are served al fresco, in the hotel's "Ristorante Al Mare". 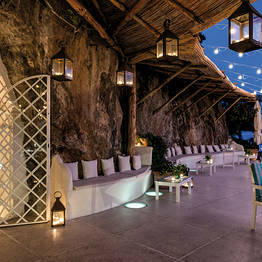 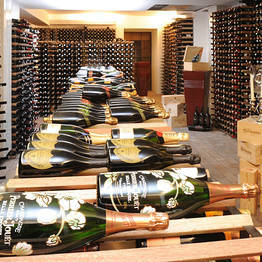 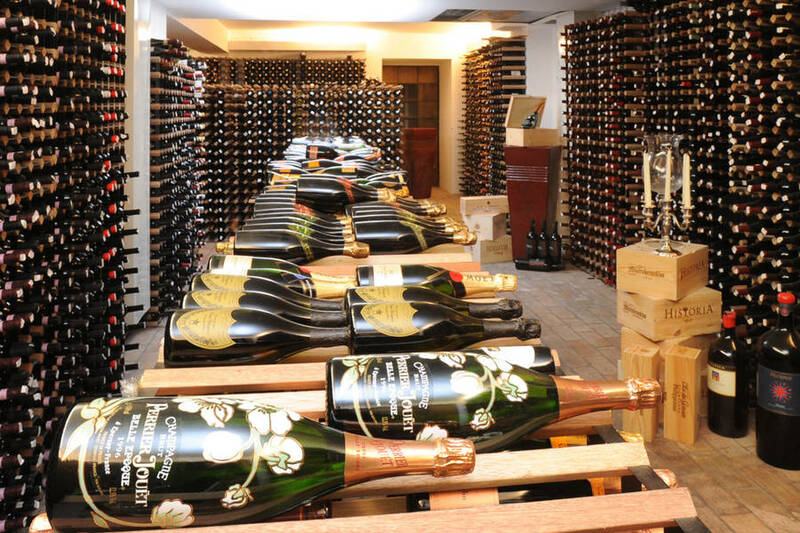 The stylish "Bar Le Terrazze" provides the perfect venue for a romantic aperitif or leisurely, after dinner drink. 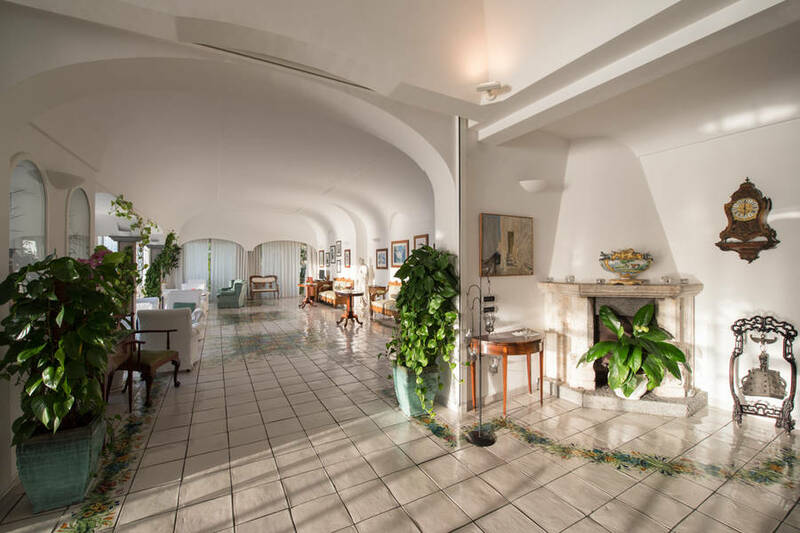 Many of the treatments available in the hotel's luxury spa are performed using natural products typical of the area, such as the lemons used in the "Amalfi Gold" massage and the coastal flowers and herbs used in the Mediterranean aromatherapy. 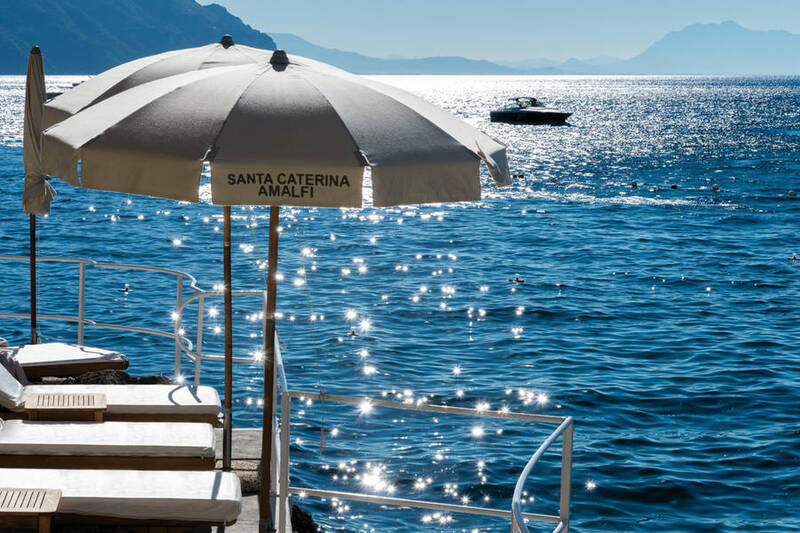 An idyllic location for a glamorous wedding or exclusive business event, Hotel Santa Caterina is, above all, the perfect place in which to spend a dream holiday by the sea. 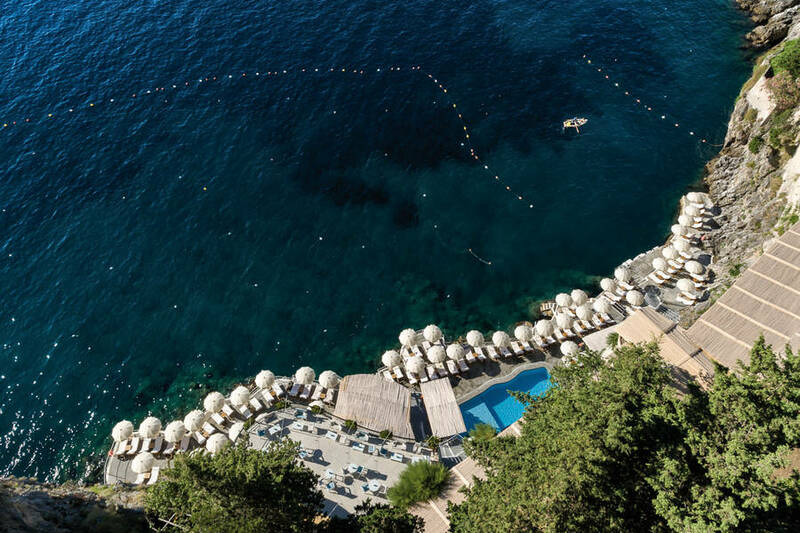 From the hotel an elevator transports guests direct to the water-edge Beach Club with sun decks, a heated swimming pool, fitness center, and snack bar. 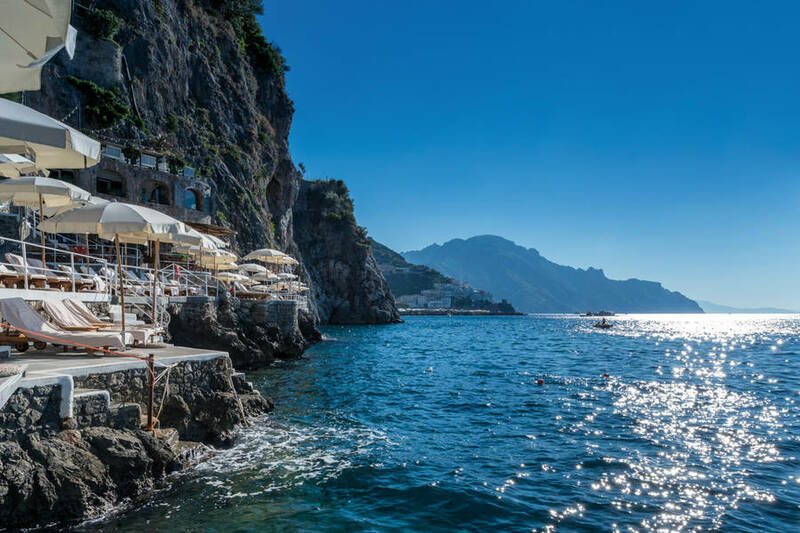 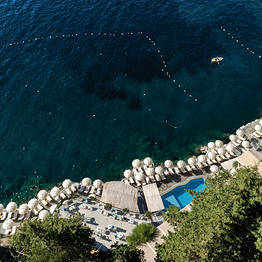 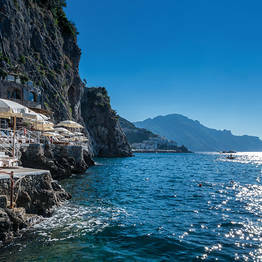 From the Beach Club, the hotel organizes boat trips sailing along the Amalfi Coast and across the waters to the islands of Li Galli and Capri. 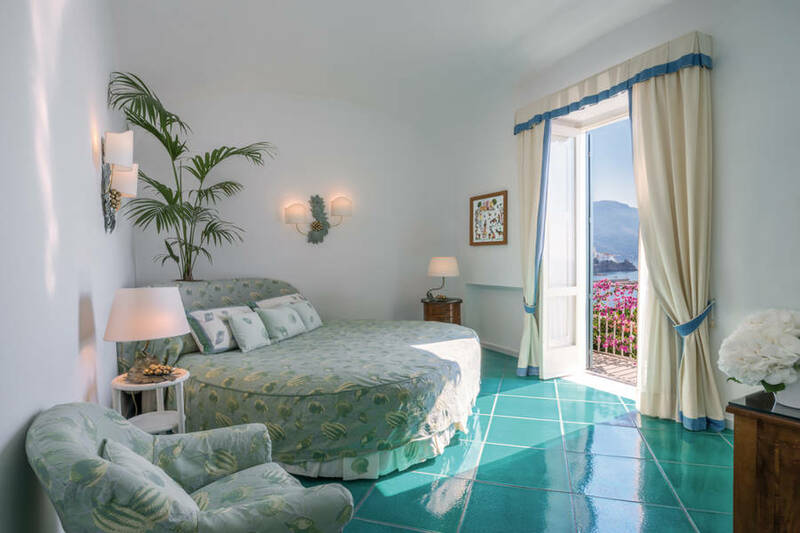 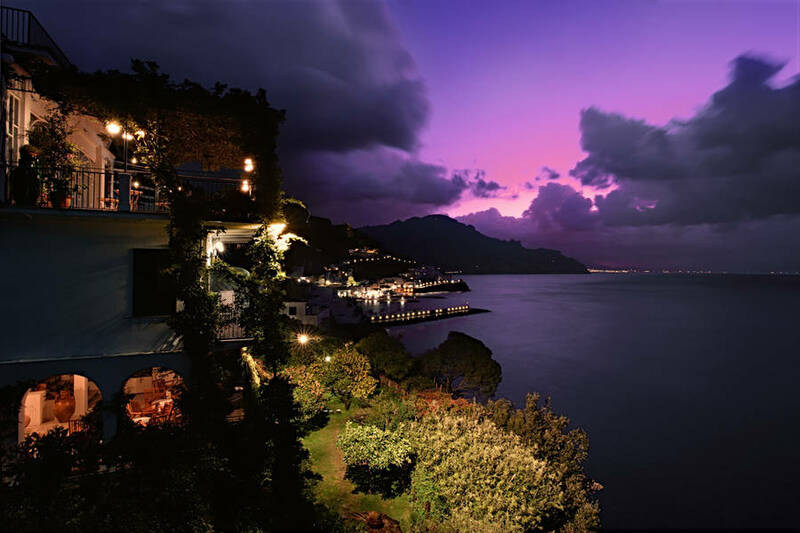 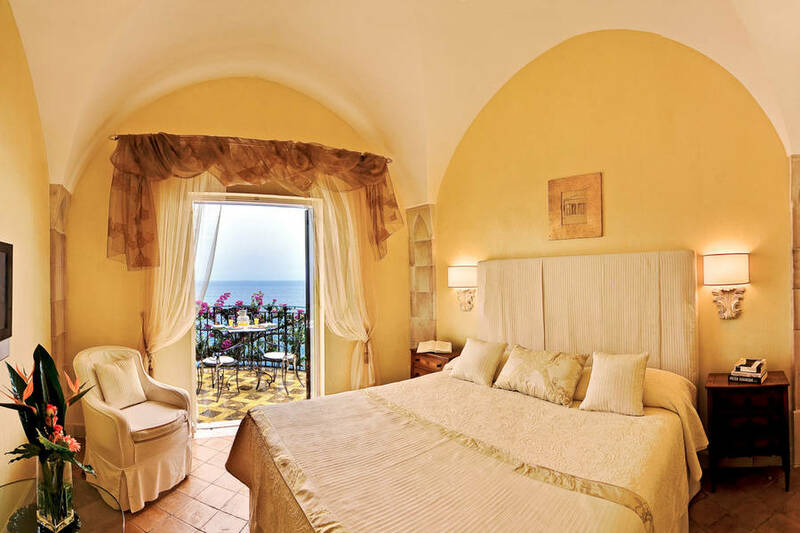 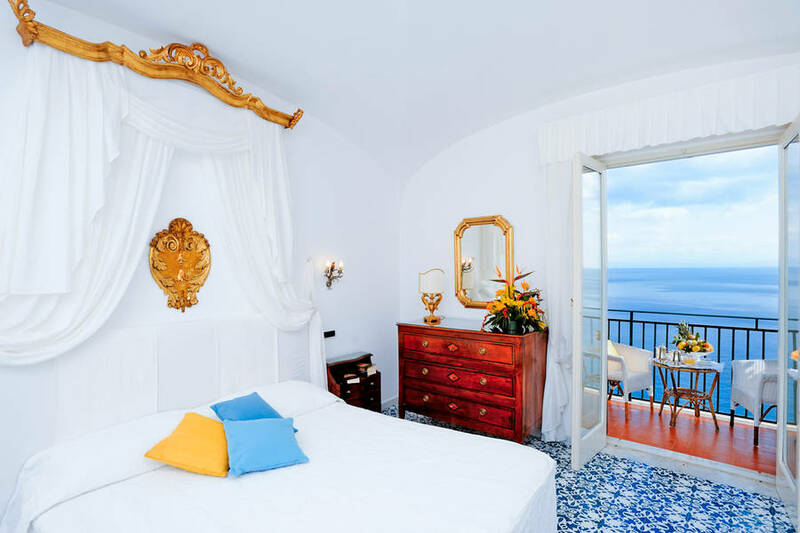 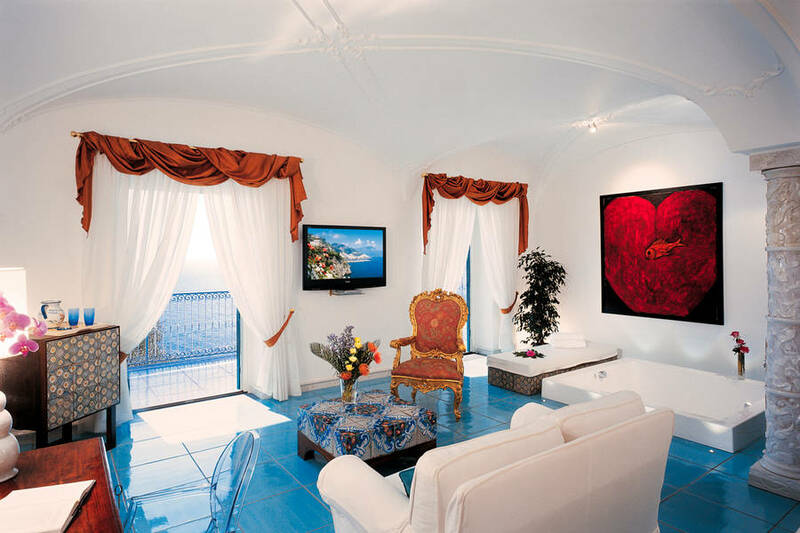 Hotel Santa Caterina is situated a mere seven hundred meters from the historic center of the town of Amalfi which, together with Positano and Ravello, is one of the most sought-after destinations on the Amalfi Coast. 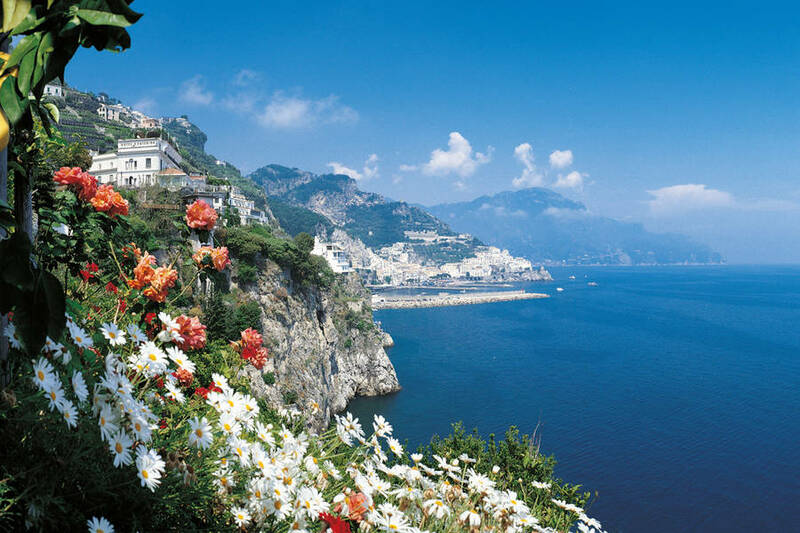 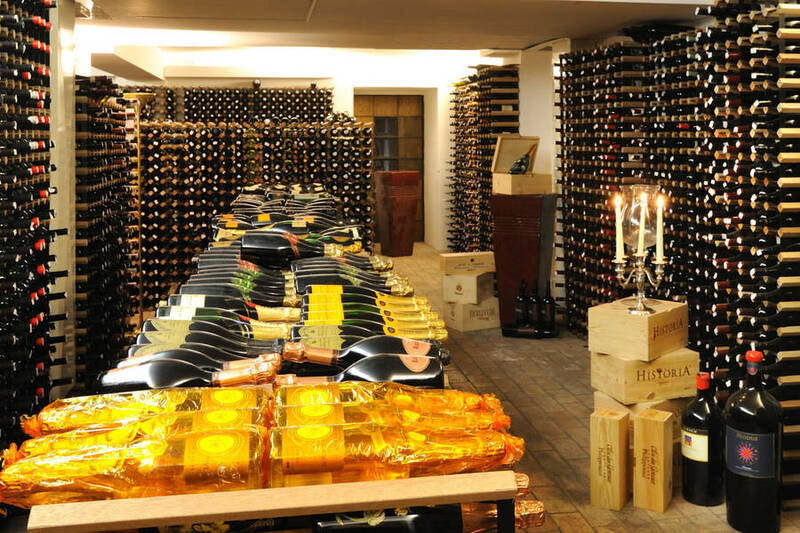 From Amalfi, Herculaneum, Pompei, Sorrento and Naples all lie within easy driving distance. 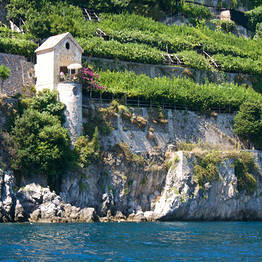 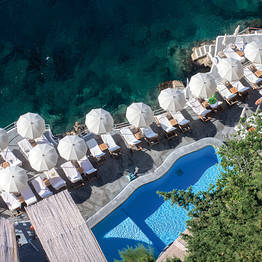 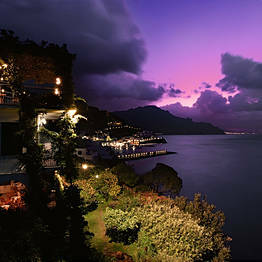 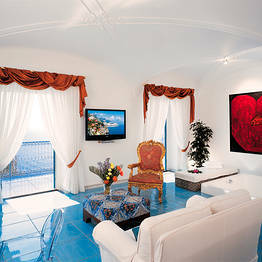 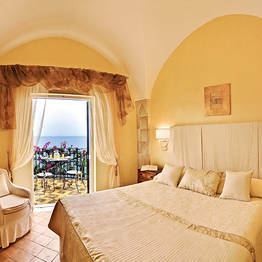 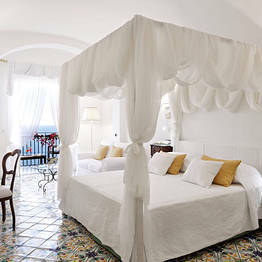 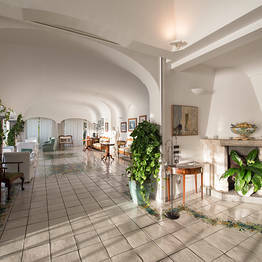 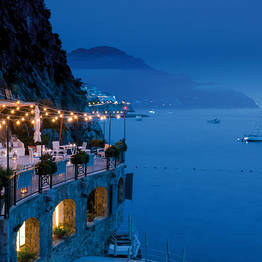 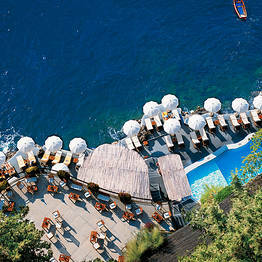 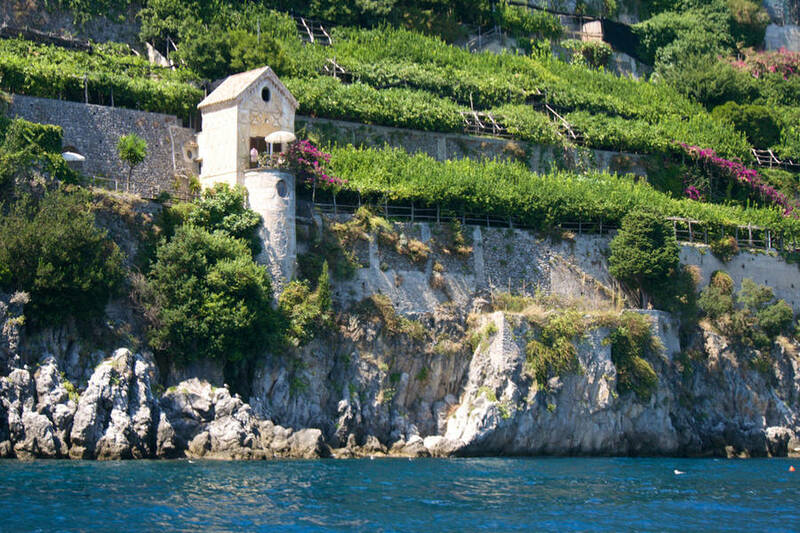 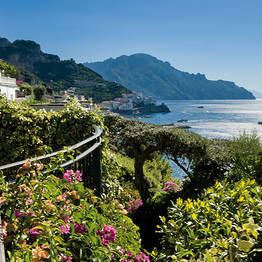 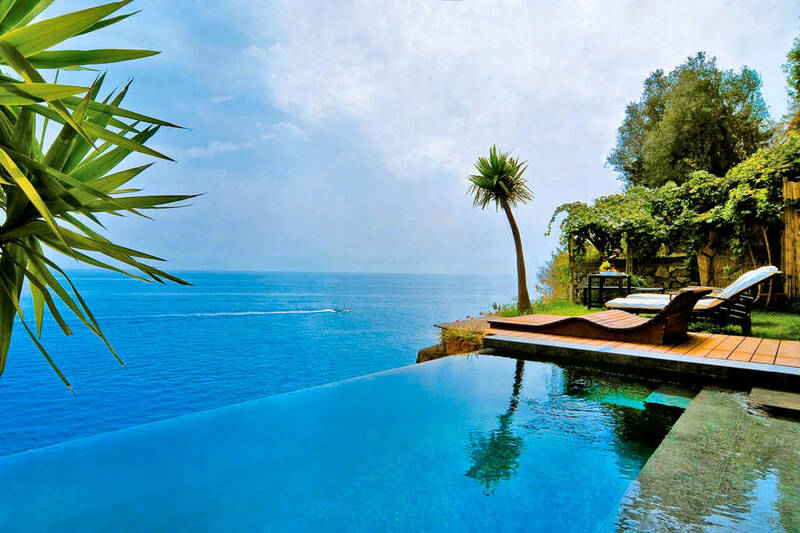 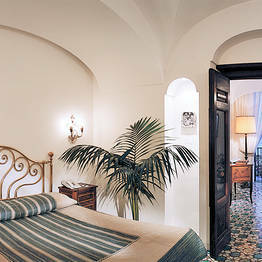 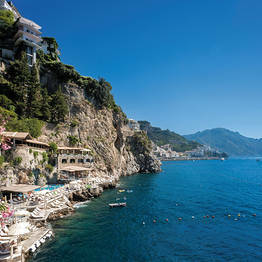 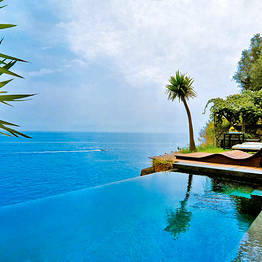 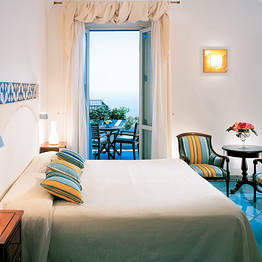 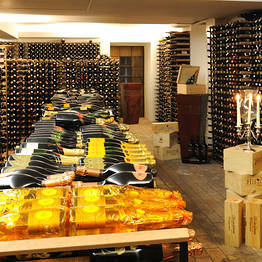 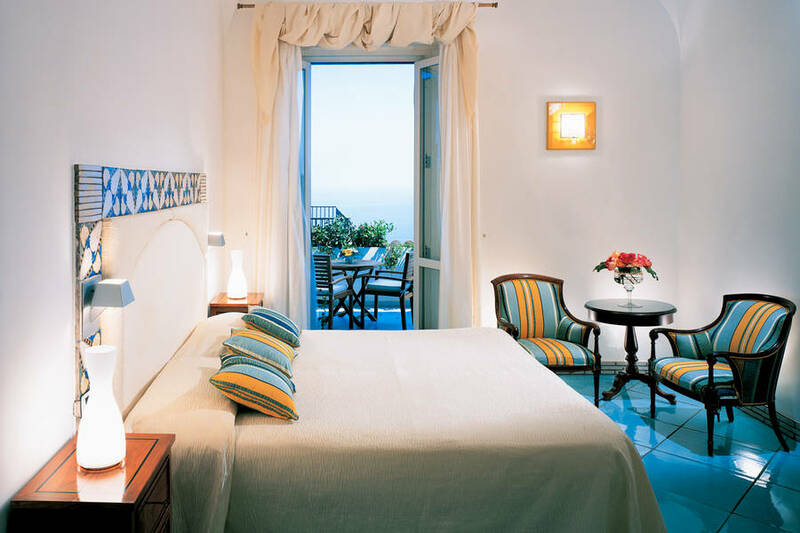 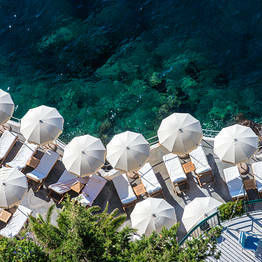 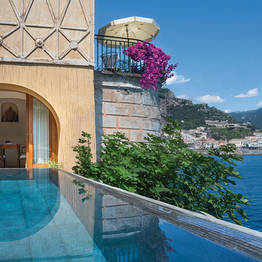 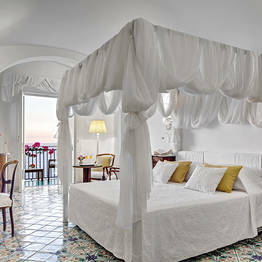 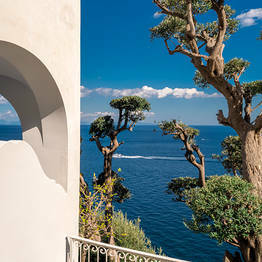 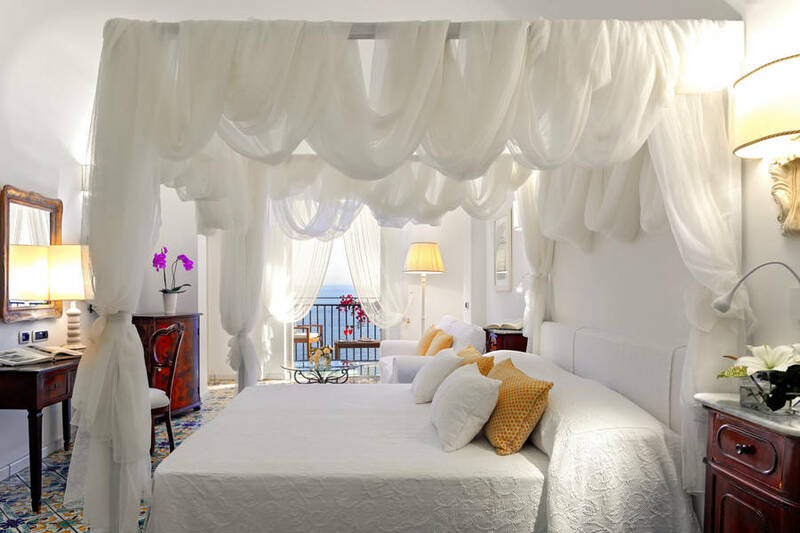 Book Hotel Santa Caterina on Positano.com now with no additional booking fees.